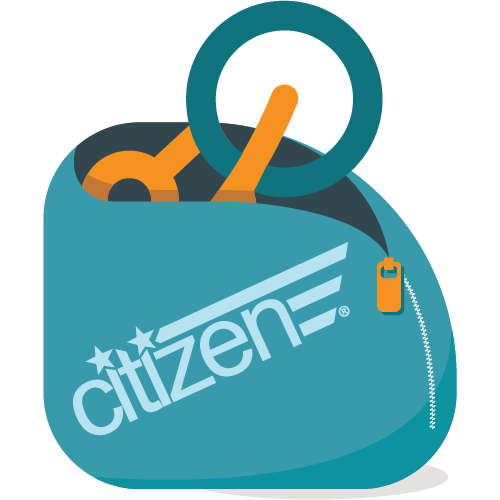 Citizen Bike offers a variety of folding and portable bicycles to suit all types of uses and budgets. If you're looking for a budget sensitive folder to a lightweight commuter, Citizen Bike has a bike for your lifestyle of going and being human. Our Values Series folding bikes are designed to offer the liberating and versatile convenience of folding bikes at an exceptional price. Our Value Series bikes are steel frame folding bicycles, which make the overall weight of the bikes more than the Alloy Series bikes. The Value Series bikes are designed primarily for recreational riders, RVers, and occasional commuters. The heavier weight of the steel frame makes the bikes less practical for regular commuting. The Value Series is packed with features to enhance the overall versatility for a wide range of uses. 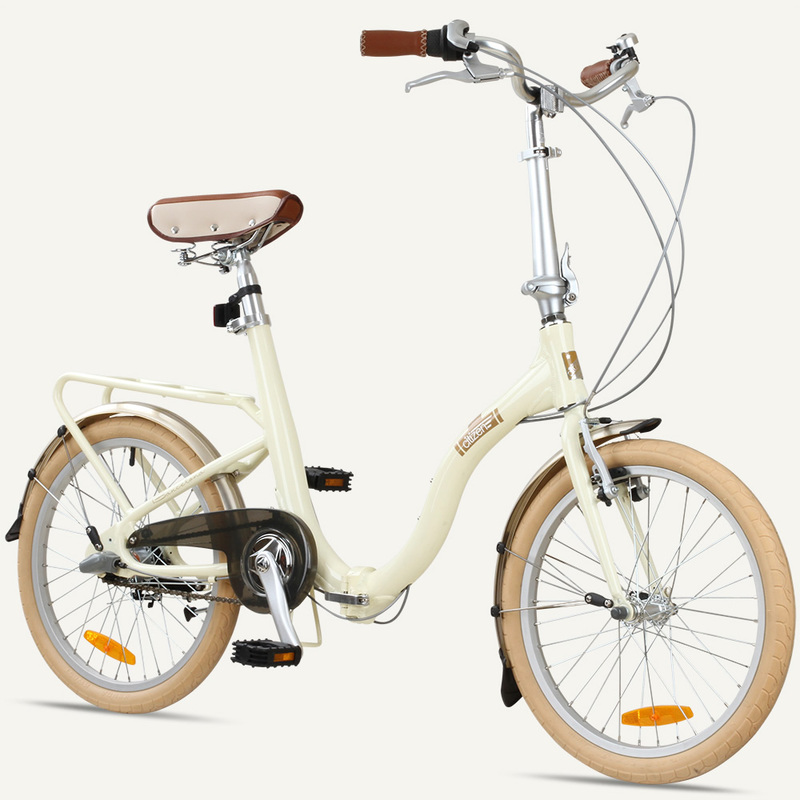 The MIAMI and TOKYO models are equipped with foldable pedals, fenders (mudguards) and an optional rear carrier rack to conveniently carry a small load or attach accessories. The frames of our Alloy Series folding bikes are made with an aluminum alloy, which make the bikes significantly lighter than our Value Series bikes. Additionally, the individual components of the Alloy series are upgraded from the Value Series to offer a nicer ride overall. Though the Alloy series bikes, such as the SEOUL, are popular among commuters, a lighter bike means a more convenient bike in general. The Alloy Series is a popular upgrade for anyone looking to step up from the Value Series. The Alloy Series bikes have a broad range of add-ons and options, such as fenders (mudguards), carrier racks and other options. Our Deluxe Series folding bikes are designed to offer supreme comfort and technology at an extremely affordable price. The Deluxe Series incorporates upgraded components, comfort and design features that make these sophisticated bikes an unbeatable value. Our BARCELONA uses a specially designed curved alloy frame to allow for a very low step-through height. 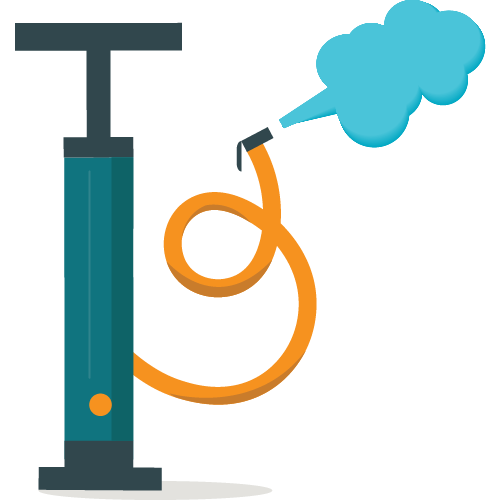 This allows a rider a safe, easy-on and easy-off riding experience. Additionally, the BARCELONA uses internal hub technology, a practically maintenance-free gear system compared to conventional gear systems. We feel that the responsibility of good Citizenship extends beyond the individual. 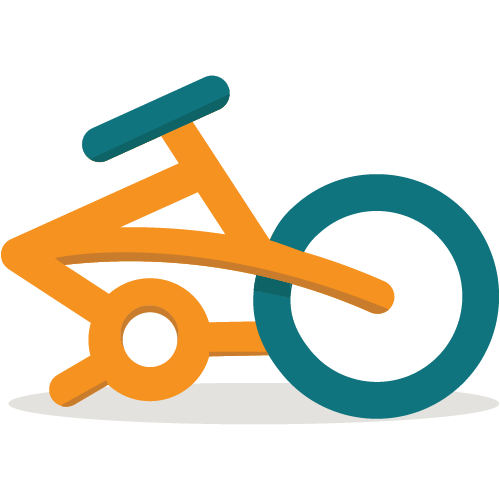 For corporate customers looking to enact programs promoting wellness and eco-conscious, we make sure to help by tailoring folding bikes and bicycle programs just for them. Some of these limited edition bikes are available for purchase for a litmited time or are privately available via certain employee incentive programs. Below are a few examples of some our limited edition bikes. The MTA MetroBike™ by Citizen Bike is a special collaboration between Citizen Bike and the Metropolitan Transit Authority of New York. Outfitted with colorful and reflective MTA route symbols for increased visibility, this folding bike is the perfect companion for your commute. 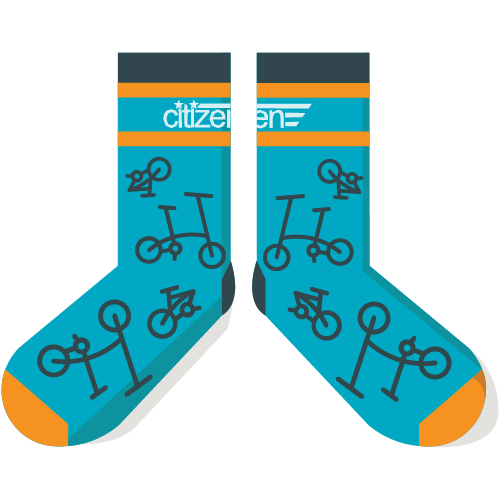 The SEARCHER Citizen Bike is available exclusively to employees of Google Inc. through an employee incentive programs. wheel size: 16", 20", 24" and 26"
Citizen Bike offers folding bicycles with different wheel sizes from 16 inch to 26 inch wheels. Generally, 16" wheeled folding bicycles are more compact and fold down to a smaller package. 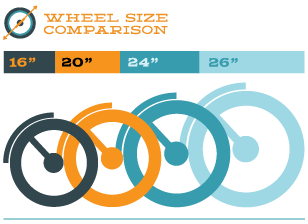 The tradeoff is that 16" wheeled bikes ride less like a full size bicycle compared to a 20" bikes. Our 20" folding bikes are still very compact, but ride more like a regularly sized bike. If you're looking for the most compact option for storage and convenience, then perhaps a 16" bike is the way to go. If you're looking for a more versatile and practical ride for recreation of commuting, then a 20" bike is a great choice. Our 24" and 26" wheeled folding bikes offer the same size and performance of a full-size bicycle, but with a foldable frame. If you're looking for a bike that rides like a standard size bike, then perhaps a 26" folding bike is the way to go. If you're looking for a good ride, but more portability, then a 20" bike is a great choice.